Enliven your next Holiday party with the help of our festive and friendly Holiday Performers! 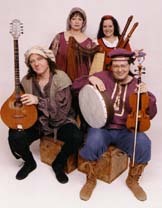 These professional entertainers delight audiences of all ages with their music and interactive performances. They will gladly coordinate their efforts with your plans, to create fun, excitement and holiday cheer at your Holiday event.